A healthy spirit of teamwork has been cultivated between teams since acquisition of our Virtual Private Network business by 21Vianet Group Inc (NASDAQ: VNET) (“21Vianet”) in August 2014. We now benefit from the fact that 21Vianet is China’s largest-scale carrier-neutral Internet data centre services provider and presides over a comprehensive portfolio of enterprise cloud solutions. Another major achievement has been the merging of 21Vianet’s Content Centric Internet Backbone business unit with DYXnet Group. Our list of accomplishments last year also featured launch of a responsive website to optimise the overall browsing experience, regardless of whether the user is on a desktop, laptop, tablet or smartphone. 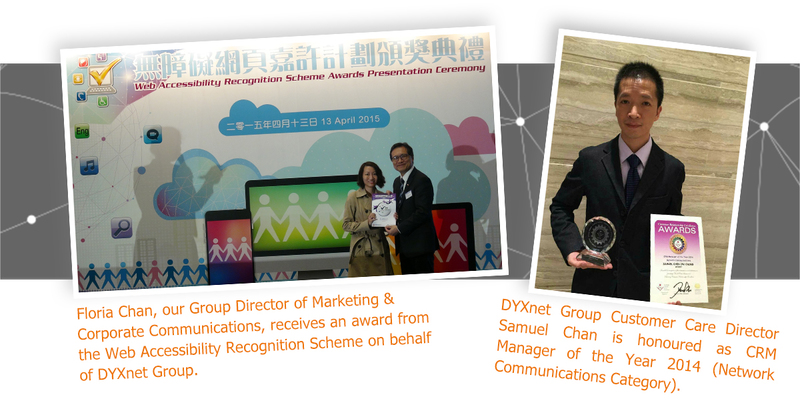 As well as receiving positive feedback on the website from our customers, we were honoured in two award schemes. 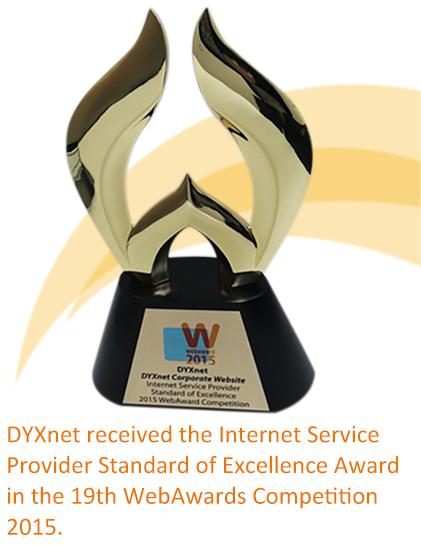 One was the Internet Service Provider Standard of Excellence WebAwards 2015 – which chose DYXnet Group from 1,500 entries across 40 countries – while the other was the Web Accessibility Recognition Scheme. Then to complete a hat-trick of accolades, we scooped a category win in the prestigious Customer Relationship Excellence Awards, designed to highlight industry players that make a worthwhile contribution to the success of their customers. 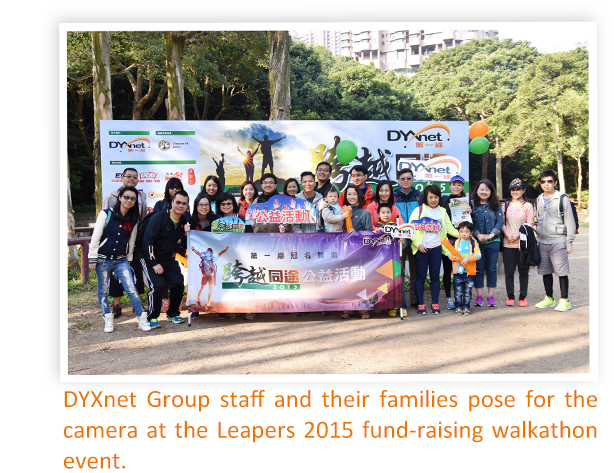 Turning to corporate social responsibility – a subject close to our hearts – DYXnet Group was delighted to be appointed Title Sponsor of Leapers 2015 by Compassion Revival Limited, a charity organisation that cares for the needy. Our employees were very keen to get involved in this fund-raising “walkathon” to benefit the underprivileged. 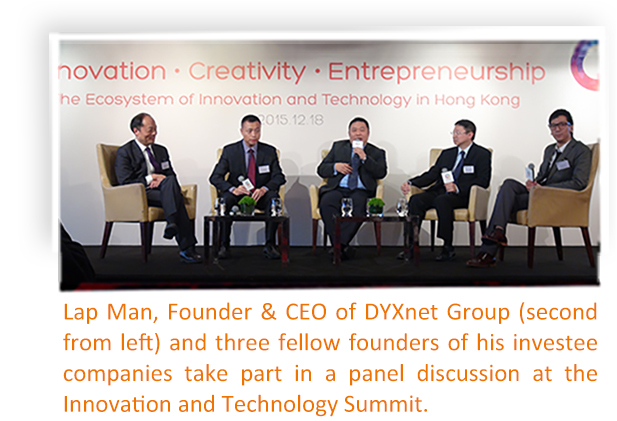 I was also pleased to contribute my know-how in the technology space to help boost Hong Kong’s competitiveness globally, which was the aim of the Innovation and Technology Policy Summit staged by the Our Hong Kong Foundation. 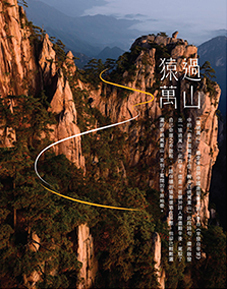 In 2016, we adopted “move beyond thousand folds of mountain” as the theme for our business during the Year of the Monkey. The line comes from “Zao Fa Bai Di Cheng”, penned by Chinese Tang Dynasty poet Li Bai. When he wrote “amidst the screeching of monkeys, my light skiff has passed 10,000 folds of mountain” he was describing how he felt while steering the boat of destiny through hardships and preparing for anything that might lie ahead. We at DYXnet Group believe this characterises the challenges we have conquered over the last 16 years, and how we have joined forces with our partners to transform difficulties into success. 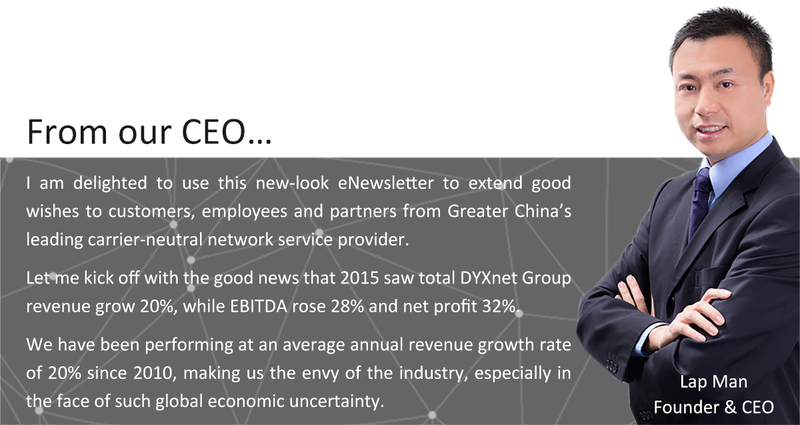 Please stay tuned for further issues of our eNewsletter, which will be circulated whenever we have hot news for you from DYXnet Group and 21Vianet, rather than on a rigid quarterly basis. Finally, I would like to seize this opportunity to wish all our readers health, wealth and happiness for the Year of the Monkey. Good luck and good business!